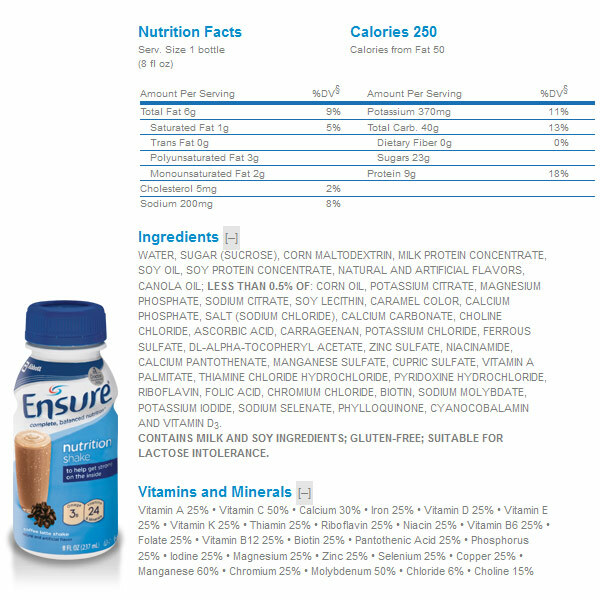 Features: Complete, Balanced Nutrition; Meal Replacement, Nutritional Supplement, or Snack; Low-Residue; Kosher; Halal; Lactose-free; Gluten-free; Not for patients with galactosemia. Flavor: Coffee Latte. 8 fl oz Bottles (Case of 24).